Where did the time go? It's the end of July, and school is just around the corner. I'm a bit nervous at the thought of 3Po and Jammy entering kindergarten -- My babies! Will they miss me, being away from home for so long? Will they be ok in separate classrooms? and all that momma bear stuff -- but one thing I'm not worried about is whether they'll be able to keep up with their lessons. They have been going to a very unstructured, play-based preschool for 2 years and I'll admit I was a bit freaked out when I realized in June that they didn't know the days of the week. But I think we've been pretty good about supplementing their play-based curriculum with more focused learning activities that build kindergarten readiness skills. Alfie has been helping them with their phonics at bedtime, they attended morning summer school for 4 weeks and I've bought some workbooks to keep them busy during the afternoon, and between those Alfie, the teacher and me, I think we've managed to keep their minds engaged and ready for the schoolyear. So when I was invited to review publisher Carson-Dellosa's Summer Bridge workbook series, I gladly said yes. For one thing, I love their slogan, "School Stops for Summer, Learning Never Should". How true is that? I could so be BFF's with a company with that philosophy! And I'm always ready to try out activities that keep kids busy at home, for parents like me who can't afford summer camps throughout the summer. * The workbooks span the whole summer -- they are divided into 3 sections that correspond to each month of summer vacation. Kids can do a little bit each day so they don't get workbook burnout and abandon it after a week. The instructions say to do 1 page a day but your child can take it at their own pace, really. Mine sometimes do 2 or 3 pages a day, leave the workbooks alone, then resume the activities a couple of days later. * It's not just about academics. The workbooks have a huuuge bonus section with activities related to behavior, fitness, nutrition, manners, and more. Who wouldn't want a workbook that instructs you to rent the movie Toy Story or work on your confidence by cracking eggs? * They've figured out that kids love writing out lists and checking items off a list. So they've got lists galore: summer reading lists. motivational calendars, activity lists, happiness lists, and skills lists. * The workbooks feature lots of tips for parents.to help their child get the most out of the workbook, as well as other ways to keep them engaged throughout the summer. The kids love doing their workbooks every day. They were a lifesaver last week when I went to Chicago and left Alfie with the kids. The only thing I regret about the Summer Bridge Activity workbooks is that we didn't receive them sooner! I received free product samples for this review, but no monetary compensation. The views and opinions expressed in this post are my own. Step 1. Have your neckline henna-tattooe'd by the most talented henna artist ever at the Social Luxe Lounge party. Put yourself entirely in her creative hands and allow her to transform your neckline into the only piece of bling you'll ever need to wear. Step 2. Squeeze into a SlimPerfect little black dress, which squeezes and slims you in (without making you feel like you're being shoved into a whalebone corset) and generally turns you into a hot mama. (If you won the dress in a contest like I did, don't forget to disclose that you did so you don't get in trouble with the FTC). Thanks @muffintopless for the photo! Step 3. Paint fingernails and toenails red. Don't be embarrassed about sitting on the floor in your short, short SlimPerfect little black dress because it actually has shorts on underneath, so you won't be pulling a Brittney Spears with this dress. Step 4. Get a makeover by Nicole Rogers of Bombshell Artistry and end up looking like a million bucks. While you are being primped and polished by Nicole and her assistant, look out the window and see President Obama's motorcade on its way to the Chicago Hyatt Regency, and feel super-cool knowing that you were at the Hyatt a couple of hours earlier and knew all about his visit. Step 5. Warm up for the party circuit by chatting with Carol of Muffintopless, Debba of Girlfriendology, Jerri-Ann Reason of MomECentric, Courtney from AppleOfMyEye, and Krystle from SnarkyKisses. Except this is much, much better since you don't have to shout to make ourselves heard, and instead of standing around in high heels, you can sprawl all over the beds in your bare feet. Step 6. Get an impromptu photo shoot done by official BlogHer photographer and official awesome makes-any-person-in-a-photo-look fabulous Carla Duharte-Razura. Thanks @babyjidesign for the photo! Step 7. Take a sip of your first apple martini, then proceed to gulp down the rest of it, turn to your roomate (who happens to be aforementioned awesome photographer) and ask her, in a very polite, conversational tone, as though we had just been introduced, what conference she was here for. Step 8. Realize that the apple martini was the most alcohol you've consumed in months and agree to work off the alcohol by visiting Chicago's Wit bar and several others (consuming 4 kamikazes along the way) until ending up at a dance bar and dancing until 3AM. Now THAT, my friends, is how to have a perfect night. The last time I bought tickets to the circus, I wondered why I was doing it. It's just elephants and clowns, after all, how corny. But afterwards, I was amazed. It's really magical, and it's the kind of show you want to go and see year after year if you have young children. Except our year-after-year turned into 2, then 3, then 4 years. The last time The Pea went to see the circus, she was about 18 months old; 3Po and Jammy have never seen the circus. So we're so excited to have been invited (hey, that rhymes) by Mom Central to the opening night of the Ringling Bros. and Barnum & Bailey show, Zing Zang Zoom, in Oakland on August 12. It promises to be a great night, and we can't wait! See the Circus for Less! You can purchase a 4-pack of tickets for only $44 by calling 1-800-745-3000, or by logging onto www.ticketmaster.com and entering the coupon code: MOM (Not valid on VIP, Front Row and Circus Celebrity seats or combinable with other offers). This coupon code is valid in select markets across the country; click here to see whether your city qualifies. See the Circus for Free! If you live in the San Francisco Bay area, you could win a family 4-pack of tickets to the Zing Zang Zoom show in Oakland on August 12! I'm running a giveaway on Being Savvy Silicon Valley, so head on over and join. It ends next week, so hurry! If you read any of my blogs, you'll know that I'm a big PBS Kids fan. I think that when it comes to quality children's programming, PBS Kids really gets it. Kids love their shows because they have fun characters and entertaining storylines, but they're really educational and as a parent, I really feel good about letting my kids watch their shows. Case in point: "Dive, Olly, Dive", an Emmy-nominated series that airs on PBS Sprout. We don't get Sprout on our satellite tv subscription, but when I was invited to get a sneak peek at the new "Dive, Olly Dive: Ship Shape Sub" DVD (which contains 5 episodes from the series), I gladly said yes, even though we had never watched any of the episodes. And I wasn't disappointed. Dive, Olly, Dive reminds me of Jay Jay the Jet Plane set underwater. The show follows the adventures of two animated submarines, Olly and Beth. It's set on (or in, or under) a coral reef, which I assume is somewhere in Australia, since their resident grownup-in-charge, Diver Doug, as well as several other characters, have thick Aussie accents. Despite the cool, Beach Boys-inspired music, this is a series geared towards preschoolers. My kids enjoyed it because the coral reef and ocean life play such a prominent part, but I think younger children would love the cute 3D characters and simple storylines even more. 4) Join the Sid the Science Kid giveaway on Bonggamom Finds (leave a comment here telling me you joined). This giveaway ends at midnight PST on August 10, 2009.; I will draw a winner at random on August 11 and post the winner's name on the comments section soon after. For additional giveaway rules, click here. Good luck! While I was at BlogHer last week, I left Alfie working at home with the kids. Given that he had to do a full days' work at home, meetings and all, I really tried to plan ahead and fill their day with activities that didn't require much Daddy intervention. Surprise, surprise, I told the kids they could watch up to two hours of tv a day. Fortunately, we received a couple of Sid the Science Kid DVD's to preview last week, so I felt good knowing that they would be watching quality kids' programming while I was out schmoozing and Daddy was glued to the computer. Speaking of BlogHer, we first got to know Sid the Science Kid when I picked up a preview DVD at last year's BlogHer conference. My kids loved watching it, and I guess millions of other kids must have, too: it's now an Emmy-nominated hit series on PBS Kids. Five new episodes of Sid the Science Kid will be premiering on PBS this September, and on August 4, two Sid the Science Kid DVDs will be releasing nationwide. 4) Join the Dive Olly Dive giveaway on Bonggamom Finds (leave a comment here telling me you joined). Are the kids getting out of control? Do you feel like you're struggling with the demands of parenting, work and personal life? Do you wish everyone in the family would Just. Get. Along? Maybe you need a Family Constitution! In his book, "Your Family Constitution", author Scott Gale introduces a great parenting tool to open up family communication and improve family relations. He starts with an honest personal account of a huge family argument that opened his eyes to the need for change, and goes through the steps he and his family took to create their Family Constitution, which, like the US constitution, contains a set of guiding principles to become the kind of family they want to be. The book contains lots of useful tips and advice, as well as a lot of funny cartoons to remind us parents that we should all look back and have a laugh now and then. Throughout the book he refers to his 3 principles -- Clarity, Consistency and Commitment -- which helped them formulate their constitution, and he shows readers how these principles can work for their family. At the back of the book you'll find the Gale Family Constitution, which I loved reading because it was a concrete example of what Scott was talking about in the rest of the book. I'm glad he shared it with everyone because it's a great starting point to come up with your own family constitution. Scott's website, http://www.yourfamilyconstitution.com/, also offers a wealth of resources. I received a copy of "Your Family Constitution" to review, and I've been really inspired to take a step back from all the nagging and yelling and punishing that has been going on, and get our own set of goals and rules written down. I think my 5-year-olds might be a bit too young to help decide what sorts of consequences there should be for behavior (good and bad), but I've been talking with The Pea (who's 8) about it, and she has been really reasonable about it. I'm really very hopeful that she'll understand why Alfie and I do the things we do as parents, and even more important, understand that she has to do her part as well to keep the family running. We've got a long way to go, but thanks to this book, we've got some ideas going and we've the conversation started! Win this book! 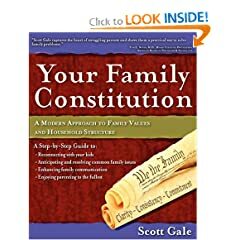 Scott has generously offered to give away two copies of "Your Family Constitution" to two lucky Bonggamom Finds readers. To enter, simply leave a comment on this post and tell me one item you would like to include in your own family's constitution. Don't forget to leave your email address or some way I can contact you. 1) For THREE extra entries Register for a free account at the Your Family Constitution website and get started on your own Family Constitution (leave 3 separate comments here with your user name). 2) Leave a comment on any of the blog posts on Scott's Family Constitution blog (leave a comment here with the link to the post that you commented on). This giveaway ends at midnight PST on August 8, 2009.; I will draw two winners at random on August 9 and post the winner's name on the comments section soon after. For additional giveaway rules, click here. Good luck! This summer, The Pea got to attend two summer camps -- a math camp and an engineering camp -- and she's finished both of them already, so she spends her mornings with me while 3Po and Jammy are at summer school. To pass the time, we run errands or go for walks; when we're at home The Pea reads or plays with her dolls. I also ask her to complete some exercises in her summer math workbook. I don't force it, because I don't want to make schoolwork a priority over the summer, but I also don't want her to lose the skills she's learned in 2nd grade. Enter the Rubik's Cube, that iconic 80's brainteaser. Everyone is fascinated by it -- it's the world's top selling puzzle game and world's best selling toy -- and everyone wants to solve it. The Rubik's Cube is also a great educational tool because it helps with visual spacial skills and logical thinking skills. And if you're one of the lucky few who do get to solve it, boy does it increase your self-esteem and sense of achievement! With that in mind, the makers of Rubik's Cube are launching a campaign in the USA -- You CAN Do the Cube -- with the goal of teaching 8-18 year olds how to solve the Rubik's Cube. It's a wonderful program because it involves teachers and youth programs working with young people to actively engage and challenge them, and help them develop patience, focus and higher self-esteem. The You CAN Do the Rubik's Cube program website provides all the necessary information a person or group needs, including free downloadable solution guides, an online community where enthusiasts can share their Cubing experiences, free downloadable certificates of achievement, lesson plans using the Rubik's Cube for math teachers The website also sells a complete solution kit for educators and youth organization directors. We were given a press kit that included a Rubik's Cube, solution guide and solution DVD with step-by-step instructions on solving the puzzle in a group or alone. My kids had never seen a Rubik's Cube before, and they were just fascinated! Alfie set out to solve the cube right away -- but realized it was going to take a bit longer than 10 minutes and shelved the project for later. It seems a bit over The Pea's head; even though she's really good at math, she's only 8, so she's at the lower end of the recommended age range, but Alfie and The Pea are going to tackle it slowly, reading the solution guide bit by bit, and I have every confidence that she can solve it eventually. 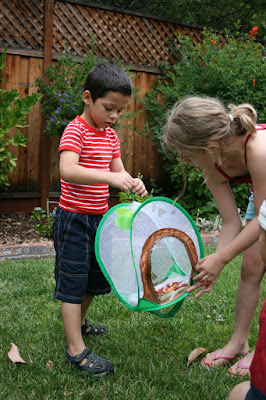 I can see how it can be a great summer activity for older kids -- it's cheap, challenging, fun, and educational. And whether it takes ten seconds or ten days to solve the Rubik's Cube, the sense of satisfaction kids get is real. I'm all set to go to BlogHer! Yesterday I received a nice surprise from Office Max: a Rolling Case File from their Peter Walsh [IN]Place line! They sent it to me so I could use it for an upcoming Office Max event that I'll be attending, so I could try it out and let everyone know what I think of it. 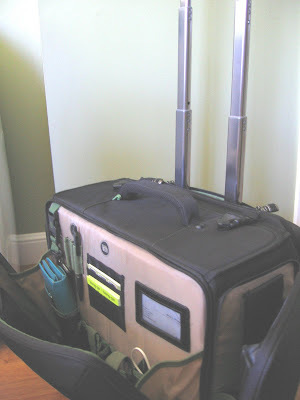 I didn't think it would arrive in time for this BlogHer trip, but it did, so I'm using it. I threw all my clothes and toiletries into the section of the case that's normally reserved for hanging files. Everything else I'm packing fits into one or other of the other sections, so I'm good to go. I'll let you all know what I think of it once I get back from my trip. 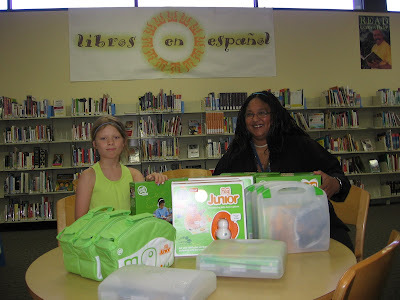 It is more blessed to give than to receive.... Last week The Pea and I went around distributing the Leapfrog reading kits I received from their Ambassadors of Summer Reading Program. I doubt that what I did puts me on the fast track to heaven, but it sure felt pretty darn good. Kinda like Oprah, but with Tags instead of cars. First up, we visited a place we know well: The Pea's old preschool, the Children's Creative Learning Center. She attended CCLC from 18 months to 5 years, so it was great that she could see exactly which of her old classrooms the toys were going to. And it was great to see Sonya, the directress, who couldn't believe how tall The Pea was getting. Next, we headed to East Palo Alto to award the Creative Montessori Learning Center the reading kit from my Savvy Source giveaway. They were the nominated beneficiary of the giveaway winner, Nicole, whose two boys attended the school themselves. The teachers didn't quite know what to make of me (Why is she asking me to pose for a photo? She said she's going to post it on the internet -- am I going to be famous?) but they were more than happy to accept the reading kit for their young charges. Last but certainly not least, we dropped off a boxful of Tags and Tag Juniors at the East Palo Alto library. Since they received a Library Reading Kit, they got way more books, school-version Tags with more memory, and cool headphones to go along with it (hey, it's a library! shhhhhh!). The librarian said she'll be setting the Tags aside for the library's free literacy-based tutoring program, so I know these are going to be put to good use by 8 and 9 year olds who might be struggling to read. 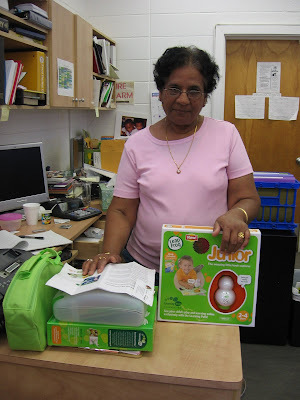 I loved being able to donate such great educational toys (thanks, Leapfrog! ), and I'm even happier that The Pea was there with me (in hindsight, I should have waited to make the rounds until after we had picked 3Po and Jammy up from summer school). This stuff has been sitting in our living room for several weeks now, and I've had to slap my kids' hands more than a few times for trying to open them up (even though they've already got identical products of their own). They really wished they could keep the cool headphones and extra books that came with the Library Reading Kit (they must get it from their swag-loving mother) -- but when push came to shove, The Pea was the one who was eagerly pressing the boxes into the librarian's hands. Afterwards, she asked me, "Don't we have any more to give away? 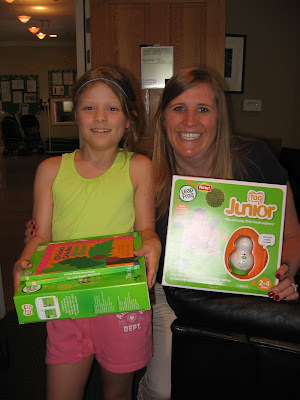 I really enjoyed donating the Leapfrog items, and there are so many more kids who would really like them!". That's my girl. There has been a renewed interest in the PBS Kids show Super WHY in our household ever since I came home from a PBS Kids momblogger presentation with a week's worth of fun activities featuring the Super WHY characters. Super WHY has always been a permanent fixture on my iPod, entertaining my kids on long car trips, plane trips or waits at the airport, but now they're watching it on TV as well. If your preschoolers haven't gotten into Super WHY yet, it's definitely worth a try. It's entertaining for youngsters because it features four young superheroes -- Alpha Pig, Wonder Red, Princess Presto, and Super Why -- who solve problems by going into fairytale books to search for the answers. It's a very interactive show, much like Dora the Explorer, Go Diego Go and Blue's Clues (the creator of Super WHY is also the creator of Blues Clues), and you'll often hear my kids shouting answers back at the tv. And parents will like the strong educational component. It really helps build those preliteracy skills like letter recognition, word recognition, phonics and rhyming. Today PBS Kids and Bonggamom Finds are giving away Super WHY DVD to one lucky reader! Required entry: Leave a comment on this post and tell me your kids' favorite PBS Kids show. Don't forget to leave your email address or other means of contacting you. 1) Follow PBS Parents on Twitter (leave a comment with your twitter id). In the past year, one of the PR firms I've worked the most with is Litzky PR, a PR firm based outside of New York City. Thanks to Litzky's awesome team of PR reps, I've been able to review such wonderful brands like Play-Doh, Hasbro, Playskool, and more. Another great company I've worked with is TimetoPlayMag.com, whose toy experts often appear on shows such as Regis and Kelly, The Today Show, and Letterman. 1. Christmas in July on Twitter - tomorrow (Monday, July 29) from 9:00 a.m. to 9:00 p.m.: Tweet between the hours of 9 and 9 ET tomorrow with the hashtag #LitzkyPR and you are automatically entered to win a prize pack that would make Santa blush. It includes 13 prizes, some valued at over $100! 2. LPR Facebook contest: LitzkyPR is giving away one free month of PR - a $15,000 value. (read that again...it's just. that. good!) To be eligible simply friend "Litzky Public Relations" on Facebook then post on their wall what blog/item/biz you would like to promote with free PR and tell them your favorite 3 p.m. snack. 3. Time to Play BlogHer Contest: Anyone attending BlogHer who finds the Resourceful Mommy, Amy Lupold Bair, and takes a picture of the two of you together can then upload that picture to the Time to Play BlogHer microsite (www.timetoplay.com/blogher) to be eligible to win 1 of 5 $50 Target gift cards. The first 10 people to upload their pic will automatically win a $20 Target gift card. 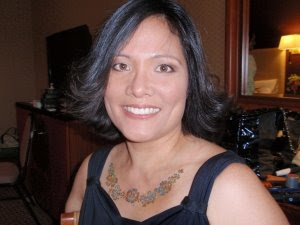 - Not attending BlogHer? There's still a TimetoPlayMag.com contest for you -- anyone can go to the TimetoPlayMag.com microsite and tell them one place you have visited with your family that you think every kid should experience. If you enter on Friday, July 24, you are entered to win a $25 Target gift card or a Girls Prize Pack with 7 great toys. If you enter Saturday, July 25, you are entered to win a $25 Target gift card or a Boys Prize Pack with 6 great toys. Four winners total. One grand prize winner will receive a Wii Fit. Two runners-up will receive a free one month membership to Dr. Weigh. This contest ends Friday, July 24th at 11:59 a.m. ET. This contest brought to you courtesy of the Momfluence network. CookiesKids.com feels your pain and has come to your rescue! Sign up to recieve the Cookies Kids Newsletter via e-mail and you're automatically entered to win one of 4 brand new laptops!! I'm really excited to be arriving in Chicago a day early for the BlogHer conference. I've got a date with the Ford Motor Company. 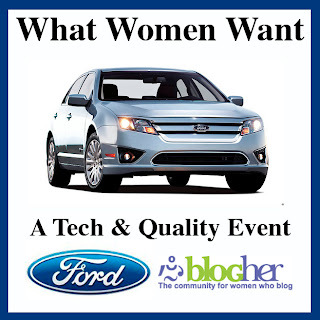 All day Thursday I'll be joining a group of bloggers at Ford's What Women Want event, doing fun things like touring the Ford Chicago Assembly Plant, getting behind the wheel of the 2010 Ford Fusion (I have high, if misguided, hopes of putting on a helmet and racing around one of those closed circuit tracks with cones and dummies) , and trying out Ford's Active Park Assist system (ooooohhhh..... parallel parking at the push of a button! Coolness!). But I have a dirty little secret. I'm not a Ford fan. Not that I'm anti-Ford, it's just that I don't own a Ford, never did. I grew up in the Philippines, where Fords are practically nonexistent, so I just have Ford's general reputation as a Big Three Automaker to go by. Well, the US auto industry has taken quite a beating lately. Patriotism aside, people, you have to step back and look at it objectively and wonder if the reason isn't that these companies are NOT making cars that people want to buy! And my impression of Ford cars, for the most part, is clunky and huge. So it's not the best of beginnings. Before Ford slaps a huge Model-T (for Traitor) sign on my back and kicks me off the guest list for next Thursday, let me clarify that I'm not going into this event with a closed mind. In fact, I want to be convinced that Ford is truly making innovative, market-driven cars. I'm willing to be converted into a Ford fan. I think it's due to Alfie's influence. He's not a fan of American brand cars, but Ford is the one exception, because apparently Ford is quite a common brand in England and the rest of Europe. What's more, Ford is actually quite highly rated there, and doesn't get the bad rap that American cars get here in America. I don't quite understand why this is the case, but it's true . I've been to England so many times now, and the Fords I've ridden there are cute and zippy little cars, not like the big and clunky Taurus or Explorers or Broncos I see here. It gave me a totally different impression of Ford -- Ford Europe, that is. So I'm wondering if Ford USA could possibly change my impression of them, too. Anyway, from what I see and hear nowadays, it looks to me like Ford is really trying hard. It says a lot to me that Ford was the lone Big Three automaker that passed on the federal bailout package. And I love that Ford is into hybrids, big time. And with initiatives like the one I'm attending next Thursday, it looks like Ford is really making an effort to find out what consumers want in a car. So they've already scored big points with me. My first impression is already changing, albeit slowly. I'm eager to get on this tour and willing to be wow'ed with all the technology. Okay Ford, here we go. So far I've haven't had too much contact with you, I just know you by reputation. This is going to be our first date. So impress me, Ford. I can't wait! To some people, a card is a card is a card. But many people want their stationery to reflect their personalities, lifestyle and culture. If you're one of those people, good news -- there's a new kid on the cardstock block! Paper Culture is a new premium stationery company focused on modern designs printed on quality, eco-friendly papers and envelopes and time-saving conveniences. I'm very impressed with the quality of their cardstock and envelopes. All of Paper Culture's cards are made of recycled paper, but these don't feel like recycled newsprint; they're heavy (130-lb. weight heavy stock paper versus the usual 80-110-lb.) and have a nice matte finish (I hate glossy cards). I love their clean, modern designs; for some reason, I've become fixated with the cards' rounded corners; I haven't seen cards with rounded corners before, and to me it just screams Originality. Speaking of originality, their personalization features are truly personal. I'm not talking about adding photos or printing a generic message plus your kids' names. With Paper Culture, you can add a personal message to one, some or all of your cards. Making each card a true original. And here's another original feature -- Paper Culture will address and mail all your cards for you -- for only the cost of a stamp, until Jan 1, 2010. How convenient is that? It's like having your own social secretary who deals with holiday cards, invites to your annual summer barbecue, and other social correspondence. Makes me feel like Grace Kelly! Want to see for yourself how great these cards are? Paper Culture is offering a 20% discount off your order (applied to cards only, before taxes, shipping and postage) until August 30, 2009 -- just use the code BONGGA20 when you check out. 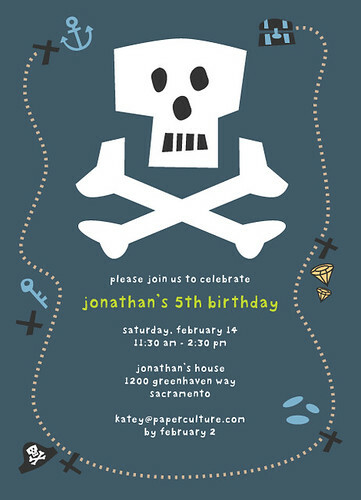 Or you can try your luck here, because Paper Culture has generously offered to give away 5 gift certificates worth $50 each! Yes, five lucky Bonggamom Finds Reader will win a $50 Paper Culture gift certificate. Required for entry: Go to the Paper Culture website, then come back here and leave a comment telling me which is your favorite design. 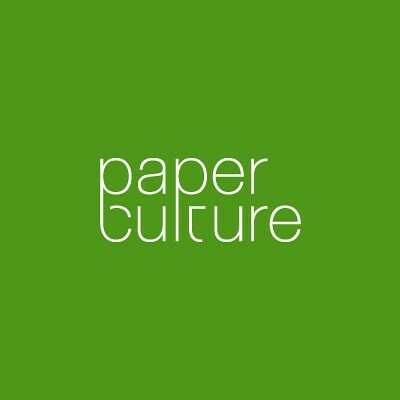 1) Follow Paper Culture on twitter (leave a separate comment here saying you followed, with your twitter id). 4) Leave a comment on any of my blog posts on Finding Bonggamom (leave a separate comment here with the link to the post that you commented on). 5) Join any of the other giveaways currently running on Bonggamom Finds (leave a separate comment here with the name of the other giveaway you joined). This giveaway ends at midnight PST on July 27, 2009.; I will draw the 5 winners at random on July 28 and post the winners' name on the comments section soon after. For additional giveaway rules, click here. Good luck! One of the simplest ways a household can reduce their impact on the planet is to switch to environmentally-friendly cleaning products. Simple, right? Except, not really. Three or four years ago, many of the eco-friendly cleaners that started coming out of the woodwork and landing on supermarket shelves didn't actually clean all that well, and they were expensive to boot. 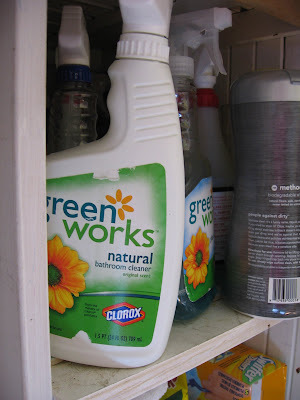 So when I first saw Clorox Green Works cleaners last year, I got all excited. Even though I hadn't tried it yet, I figured it must be good, otherwise Clorox wouldn't risk their reputation on the products. And I was right. Here's a little peek into my cleaning closet. It's stuffed to the brim, but when I come to think of it, I could probably throw away half the stuff in there. Usually the cleaning products I use are the ones nearest the front. And no, I did not rearrange it so that the Green Works products are strategically placed in front. I actually use them! I don't know how Green Works was able to see what's in my closet (Is there a camera in there? Did the Bush wiretapping scheme go a little too far?) but they must have known that I'm a big fan -- why else was I was invited to their Natural Networking Lunch, next Friday at BlogHer? I'm excited because it's going to be a great opportunity to meet other eco-conscious bloggers, to network with the Green Works people, and get a sneak peek at some exciting new products they'll be launching at BlogHer. Green Works sent me a sample of the liquid detergent and stain remover to try. I can't vouch for the stain remover just yet (no stains, tough or otherwise to remove recently), but the detergent is great. The Pea likes the original scent they sent (nice pun there) but I must confess I wish they had sent me the lavender scent (lavender is my fave!). It works just fine in our front-loading washer on a cold cycle, and since it's concentrated I don't need to use as much detergent (and this forgetful mom doesn't need to remember to buy more detergent). 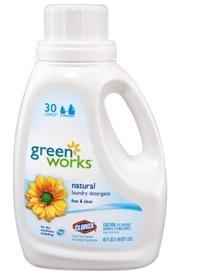 I'm looking forward to meeting some of the Green Works people at next Friday's lunch to compliment them on their new laundry products -- and ask them when they're coming up with an automatic dishwasher liquid that actually cleans my dishes. It's hot, hot, hot! And it's not the humid heat that I'm used to from growing up in the Philippines. No, Cali's heat is the dry, desert kind that sears your skin and hurts your head. Alfie is constantly nagging reminding me to keep the kids well hydrated in this weather. I agree 100 percent, and I want to do the right thing -- but it's always a challenge for me to get enough water into them (and myself). I could serve them juice or soda or milk, but I'm sure their waistlines and their teeth would suffer. So we resort to flavored water, which has no sugar or calories but tastes great, so it's easy to keep chugging down bottle after bottle. In fact, we've stopped buying bottled spring water to cut down on our plastic consumption, but flavored water is still a staple in our household, our healthy treat that gets the whole family drinking more water. So when I was offered samples of the new Fruit2O Essentials to review, I gratefully said yes. A little about Fruit2O: Fruit2O was the first fruit-flavored water to hit the market and has led the way in the impressive growth of the flavored water category. Their original Fruit2O drinks come in 8 fruit flavors, all with zero calories, carbs and sugar. Their new product, Fruit2O Essentials, takes it one step further by providing the vitamins, minerals, and fiber equal to two servings of fruit. This zero-calorie fortified water comes in six flavors, each containing the nutrients specific to the two fruits found on the label. We received all 6 flavors to try -- Strawberry Kiwi, Cranberry Raspberry, Citrus, Peach Mango, Blueberry Pomegranate and Cherry Acai. I had a hard time stopping the kids from guzzling it all down, but I managed to keep them away long enough to chill all 6 bottles and pour them into cups for our own little tasting Par2O. I've never been a fan of the strawberry-kiwi flavor combo, but I loved all the others, especially the Peach Mango and the Cherry Acai, which really tastes like you've dunked cherries in a pitcher of water and left it in the fridge for a couple of hours. They have a nice, subtle flavor that's not too sweet or acidic. I like the fact that Fruit2O is made with natural fruit essence, so you get all the natural flavor of the fruit without the fruit particles or juice -- or the calories. And since it's fortified with the fruit's nutrients, it's like you're eating a piece of fruit and drinking some water! What a healthy, yummy way for the whole family to stay hydrated this summer! Here's a fun quiz on the Leapfrog site that parents can take: just answer a few questions about your child's likes and dislikes, and they'll predict what your child might be when he or she grows up. I answered for 3Po and got a Cowboy. Isn't the photo of the Leapfrog Tag dressed in a cowboy outfit so cute? Of course, according to 3Po, when he grows up, he's going to be a champion soccer player or motorcycle racer or sailor or champion whatever-he's-playing-with-at-the-moment. And according to me, he's going to be a mathematician or quant in an investment bank. So it's all in fun, totally bogus, of course, but fun. But who knows? Come back here 30 years from now (or whatever the internet morphs into by 2039) and we'll see who's right. It's always nice when I get sent products to review that I already use and love. I recently got a sample of shampoo and conditioner from Pantene Pro-V's Moisture Renewal collection and I have no qualms recommending it. I've always been a fan of Pantene, ever since it was first introduced to the Philippines about 25 years ago (in fact, one summer in college I worked at Proctor & Gamble's manufacturing plant in the Philippines, which I thought you should know because that might make me an insider or something like that. Or because I want you to think I'm cool, having worked at a manufacturing plant). Pantene just seems to work really well with my wavy, frizzy hair. I do kinda wish they had sent me the Moisture Renewal 2-in-1 shampoo+conditioner because that's the kind I always use, because I'm lazy and don't want to go through the extra step of using a conditioner, but I'm not complaining. Even though I sort of did complain. No, really, I'm not: the shampoo leaves my hair feeling clean, and the conditioner does a great job of smoothing out the tangles and frizzes. And who can complain about that? My 3 kids are big Webkinz fans, and hardly a day goes by that ,they don't play with their stuffed Webkinz animals or ask to log on to the Webkinz World site. So when I found this Webkinz giveaway, I was all, sign me up, baby! And because it's such a rare thing to find a Webkinz giveaway, I thought I'd post it here to share with everyone. Frugal Maryland Mom is giving away these two cute Webkinz stuffies, both new with tags, along with two packs of trading cards! Click here to join -- the giveaway ends July 19. My kids hate jeans. None of them like the stiff fabric and heavy zippers; when it comes to clothes, they're all about comfort. But I don't want my kids in baggy tees and sweats all the time, either. I mean, looking like a couch potato is just one step away from being one, and besides, how are those talent scouts going to discover my kids for the next big J&J ad or Oscar Meyer hotdog commercial if they're not dressed for the part? Enter Polarn O. Pyret, a children's clothing label I just discovered. But saying I discovered it is like saying Columbus discovered America, because Polarn O. Pyret has actually been around for over 30 years, and they're one of the top children's clothing brands in Sweden (they're the top-searched brand for kids' clothes on Swedish Ebay!). Now they're bringing their clothes to the US, starting with their online store (which, incidentally, is having a great summer sale -- my fingers are itching to click on that "Purchase" button!). Polarn O. Pyret gave me some clothing samples for my kids to try, and right out of the package I could feel how soft they were. As soon as The Pea slipped her turqoise shirt on, she said, "Ooooooh, this feels niiiiiiice....!". She says both the shirt and leggings are easy to bounce around in (oh my poor, abused bed), but was sad to have to pass the leggings on to her younger cousin because she found the stitching in the crotch uncomfortable (I told you my kids are picky about the feel of their clothes). Jammy quickly rushed to claim this gorgeous red-and-white striped shirt (stripes are Polarn's signature look!) before 3Po could get his hands on it. I thought the shirt looked a bit snug but he refused to give it up. It certainly looked long enough, so maybe that's how it's supposed to be. Hey, if he wants that Ricky Martin look, it's fine by me; he actually looks kind of cute in it. 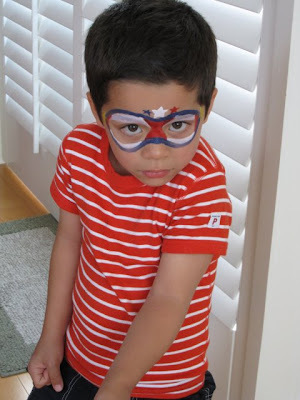 And the bright red stripes came in handy when he wanted to dress the part for the 4th of July. All in all, I wouldn't hesitate to buy more kids' clothing from Polarn O. Pyret (I would definitely order a size up, as all the clothing samples seemed to run small: Jammy is an average-sized 5 year old, and the red striped shirt says "4-6 years", and The Pea is a very-above-average 8 year old, wearing POP's size "8-10 years"). Their clothes are original and stylish enough to get people to take a second look and wonder where we got it. None of the bright colors were lost in the first wash (no colored rinse-water at all to stain other clothes), and it looks like they'll be outgrowing these clothes before they fade. Most important, they're nice and soft-- clothes my kids can move and play in. Polarn O. Pyret is a premium children’s wear brand from Sweden, always identifiable by its iconic stripes and classic style with an edgy twist. From our humble beginnings in 1976, with a striped jersey and a desire to make better clothes for children, we are now a company with roughly 100 stores across Sweden and Europe. Now the fastest growing children’s clothing company in the Nordic region, our philosophy has not changed since the debut of our very first striped T shirt: children need clothes they can play in. Check out Polarn O. Pyret's signature stripes collection, basic mix-and-match separates, eco-friendly clothing line and more at http://www.polarnopyretusa.com/. June has come and gone, and our globetrotting adventures continue... even though we haven't spent a dime or plane tickets or gasoline! Little Passports is a monthly subscription service that follows the adventures of characters Sam and Sofia as they travel to a new country each month. Each month children get their own package in the mail containing games, toys and activities, all related to the country that Sam and Sofia are visiting. The Little Passports company has generously sent us a couple of mailings to try out. and it has been a wonderful way for the kids to "travel" on a staycation budget. My kids really enjoyed the First Month Explorer Kit , especially my 8 year-old daughter Pea, so when our first Monthly Adventure Kit arrived in the mail, I knew I could look forward to an afternoon or two of peace and quiet while they were engrossed in fun, educational activities. 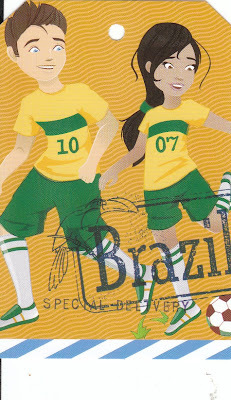 This month, Sam and Sofia visited Brazil, so everything in the mailing featured something about the geography and culture of Brazil. We received a worksheet, a geode, Sam and Sofia's Brazil diary entry to read, some cute stickers, a wooden toucan puzzle, and a boarding pass with a code to access some fun online games. The only problem we're having with the Little Passports packages is kind of a good one, because it shows that The Pea is actually using and enjoying it: with all the activity sheets she has gone through in just 2 Little Passports mailings, the cute little cardboard travel suitcase that came with the First Month Explorer Kit is already a mess. So if there's anything I'd add to the product line, it would be a folder to store all of the activity sheets and a ring binder where kids could collate the Sam and Sofia diary pages that comes with each monthly mailing (and they would have to be small enough to fit into the suitcase, of course). They could could be available for parents to purchase separately. Or even better, they could be included in succeeding Monthly Adventure Kits, which don't contain as much cool stuff as the First Month Explorer Kit -- even though each month costs the same, $10.95. Of course, you could always just do what The Pea did and staple all the diary entries together and all the activity sheets together. That solved the paper problem in a cheaper (though not as pretty) way, and now it'll be easier to organize future mailings. And that's the nice thing about Little Passports -- that each mailing is different, so your children look forward to each and every package. And they keep learning about new countries every month. Keep up the good work, Little Passports! Cover this Belly Button Up with a SlimPerfect Dress! It's now two weeks to BlogHer '09 , and thanks to my love affair with a couple dozen Peanut Butter Cookie Bombs, I don't think my tummy flab is going to get any less flabby for those BlogHer parties . So I'm still hoping I make the cut for the Little Black Dress Model Search contest, the amazing brainchild of Muffintopless , Girlfriendology and Slimperfect -- they're awarding 4 ladies with the perfect Slimperfect Little Black Dress, as well as a $250 Slimperfect giftcard and a makeover for BlogHer party night (July 23). I've already outline my reasons for why I would be the perfect '10' Slim Perfect BlogHer model in my previous contest entry post, but for reason # 7 I promised a "possibly humiliating but probably funny" video entry as well. Well, I always make good on my promises, so here it is: a video of my daughter and my bellybutton pleading my case. The Pea is a social butterfly-in-training, a social catterpillar, if you will. She'd go on a playdate every afternoon, and a sleepover every weekend, if I let her. Her interest in hanging out is starting to drift online -- she recently asked me whether she could have a Facebook account. Control freak that I am, I don't think I'm ready for that just yet. There are all kinds of spammers, fishers, marketers and crazies out there, and she's only 8! Enter gaming and entertainment leader, Senario, to the rescue. Today they are launching My Secret Circle, the first-ever secure online social network for girls ages 8-12. Just like regular social networks like Facebook or MySpace, girls can log on, chat, share pictures, post notes, and play games. But get this -- it's completely private and safe from advertising and strangers. Because My Secret Circle is NOT a public Web site. 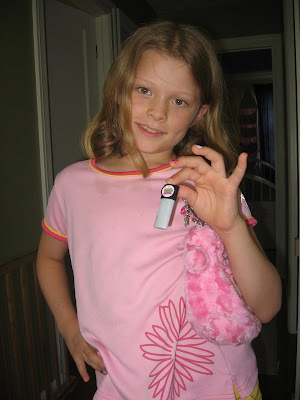 To enter the network, you have to purchase an access key with a unique code, and your daughter and her friends can connect only by exchanging private codes. But this access key is not just a virtual code, it's also a physical device, like a flash drive, that plugs into your computer's USB drive. So it's invisible to the online world in general. The key stores the virtual code and all the girl's personal information, which further enhances the security of the network. As a parent, I love the concept, because it allows me to "let go" a bit without really letting go. I can let her network online with some peace of mind, because there's no way some person surfing the web at Starbucks could hack into the network; he or she would have to purchase their own physical access key AND know your daughter's virtual code. And to get that virtual code, your daughter would have to give it to them herself. We were sent a My Secret Circle access key for The Pea to play with, and let me tell you, the product is really designed to appeal to girls. First of all, the packaging is very Girly with a capital G, with lots of Pink and photos of clique-y looking tweens. The access key is attached to a silver chain with some cute charms, and clips onto a purse or backpack (as modeled by The Pea above). You can also purchase a separate headset and microphone, which lets your daughter safely voice-chat with her friends on the My Secret Circle network. 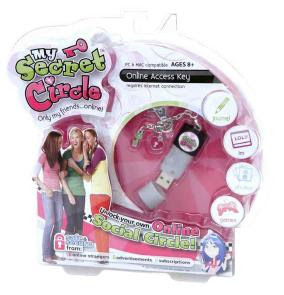 And because, like a telephone, the fun truly begins when you have lots of friends to connect to, My Secret Circle also comes in a BFF pack containing two online access keys, one for you and one for a friend. It's a whole lot of safe, girly fun -- and it's all available for purchase at that girliest of girly stores, Justice. 2) Join any of the other giveaways currently running on Bonggamom Finds (leave a comment here with the name of the other giveaway you joined). This giveaway ends at midnight PST on July 20, 2009.; I will draw a winner at random on July 21 and post the winner's name on the comments section soon after. For additional giveaway rules, click here. Good luck! With the name Singer, what else could he be? 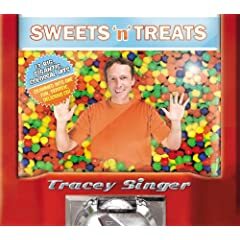 Tracey Singer is a San Diego-based singer-songwriter, and he's releasing his first children's CD, Sweets 'n Treats, on July 7. The disc, produced by two-time Grammy nominee Buck Howdy, features 13 of Tracey's original songs, largely inspired by his own experiences as a work-at-home dad to four children under age nine. We were lucky to receive an advance copy of Tracey's cd to review, and we've been enjoying his music for about a month now. The songs are entertaining and fun to listen to. My kids love the first song, Sweets 'n Treats, simply because it's all about every kid's fantasy -- eating nothing but sweets and junk food. We all love the Camping Trip song because the beat and tune are so catchy -- you can just imaging hiking on a trail while singing it -- and because the lyrics are so hysterically funny. I also like Swimming, with its cool Beach Boys vibe. This is a great cd to listen to in the car because grownups can listen to it without tearing their hair out. The songs draw from a diverse range of styles (including the sounds of Motown and the Brian Setzer Orchestra, among others), and adults will certainly appreciate some of the gentle humor in the lyrics (one song is about a Mall Mom, who hangs out at the mall and tries to be like her daughter). But even kids can't miss messages in two of the songs, Nana Nana Boo Boo and Stinky Smoke -- that both mean people and smoking stink! It's that combination of clever lyrics and catchy music that makes Sweets 'n Treats a sweet addition to your children's cd collection. 1) For two extra entries, head on over to Tracey's website, play the jukebox, then come back here and leave a comment telling which song you like best (leave 2 separate comments). You can also listen the Sweets and Treats music samples on Amazon. This giveaway ends at midnight PST on July 25, 2009; I will draw a winner at random on July 26 and post the winner's name on the comments section soon after. For additional giveaway rules, click here. Good luck! Who says aunties can't invent baby products? Jennifer Edison, inventor of the pediatrician-recommended Scrunch Bottle Bib, begs to differ: she came up with the idea when she grew tired of juggling bottles and bibs and towels when feeding her infant niece. Sure, you've put the bib on. Problem is, that pesky formula doesn't drip onto the bib like it's supposed to. Unless you attach that bib to the baby's chin, it dribbles right into the baby's neck and stays there. Enter the Scrunch Bottle Bib. I received a sample to review, and it's basically a small terrycloth towel that straps onto a bottle and tucks right under baby's lips to catch any drips. Catch my drip? I mean, drift? The 100% cotton absorbent cloth is super-soft -- it feels like a plush stuffie animal -- and won't irritate baby's skin at all. And the strap comes in several adorable gingham colors, and will strap to any size bottle. As a mom, I can relate to the problem of having too many things to hold, so anything that attaches to anything is a welcome convenience. Since my baby factory is closed, I won't be using this product as a mom, but as an auntie (my brother and his wife are expecting their first born this year), just like Jennifer. Let's face it, cleaning a baby's sour-milk neck is icky, even when it's your own baby's neck and your hormones and genes have already predisposed you to adore that neck. So I sure do appreciate having the Scrunch Bottle Bib to minimize my niece's milky mess. The Scrunch Bottle Bib retails for $7.99; you can purchase it online at www.ScrunchBottleBib.com. And the company is offering 10% off your entire order until August 1, 2009 using the coupon code BOSPR616. I'm in the Momfluence Summer Guide! All Momfluence guide reviews are product-provided, feature positions were purchased by vendors. Member reviews and giveaways are not associated with Momfluence.